PARSIPPANY, NJ--(Marketwired - October 27, 2014) - Wyndham Rewards®, the only hotel loyalty program to offer guaranteed rewards after just one qualified stay, is offering members the chance to win a five-night Hawaiian getaway, in celebration of the loyalty program's newest earning and redemption partner, Hawaiian Airlines. Available to all Wyndham Rewards members who are legal residents of the U.S., the "Wyndham Rewards Hawaiian Getaway Sweepstakes" runs through December 27, 2014 and one lucky winner, to be randomly chosen from all eligible entries, will win two round trip airline tickets, courtesy of Hawaiian Airlines, and a five-night stay at the Koloa Landing at Poipu Beach Wyndham Grand Resort in Koloa, Hawaii. To enter, travelers need only log-in using their Wyndham Rewards username and password or fill out the online form to enroll in the free-to-join program at www.wyndhamrewards.com/hawaii. 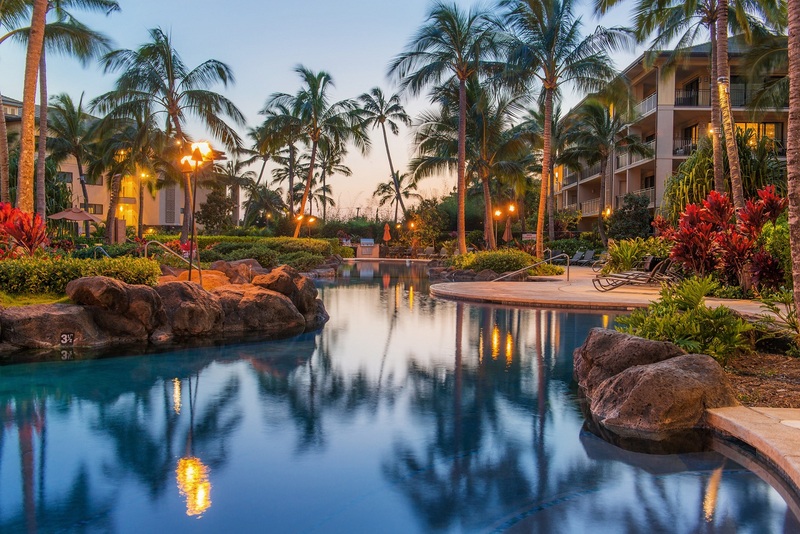 "For many, Hawaii is a dream vacation destination and we're excited to a make a member's dream come true," said Mike Mueller, vice president of loyalty, marketing and partnerships at Wyndham Hotel Group. As the newest earning and redemption partner for Wyndham Rewards, members now have the opportunity to earn, in lieu of Wyndham Rewards points, two HawaiianMiles for every dollar spent at participating Baymont Inn & Suites®, Days Inn®, Howard Johnson®, Knights Inn®, Microtel Inn & Suites by Wyndham®, Ramada®, Super 8®, Travelodge® and Wingate by Wyndham® hotels. Additionally, members can now earn 500 HawaiianMiles per stay at participating Hawthorn Suites by Wyndham®, TRYP by Wyndham® and Wyndham Hotels and Resorts® properties. Members also have the option of converting existing Wyndham Rewards points to HawaiianMiles beginning with as few as 6,000 Wyndham Rewards points. There is no cost to enter the Wyndham Rewards Hawaiian Getaway Sweepstakes and the official winner will be chosen at random on or about December 29, 2014. There is a limit of one entry per member during the sweepstakes period. The round-trip airline tickets will be provided by Hawaiian Airlines in the form of HawaiianMiles. The five-night stay at Koloa Landing at Poipu Beach Wyndham Grand Resort will be provided by the owner of the property. To learn more, read the official sweepstakes rules or to enter, visit www.wyndhamrewards.com/hawaii. Wyndham Rewards, the free-to-join guest loyalty program of Wyndham Hotel Group, is the world's largest lodging loyalty program as measured by number of participating hotels. It is the only hotel loyalty program to offer members guaranteed rewards after just one qualified stay. With over 7,000 participating hotels throughout more than 50 countries, the program offers more than 38 million members the opportunity to earn valuable points for their qualified stays. Those points may be redeemed for hundreds of rewards options including free hotel stays, airline travel, gift cards for leading retailers and restaurants and more. Free stays start as low as 5,500 points, while other reward options start as low as 250 points. Members may also choose to earn with approximately 20 leading airline carriers and other partners. In addition, frequent travelers will appreciate the program's Gold Status, which provides the program's most loyal members with an additional free night after every 20 qualified nights. For more information or to join, visit www.wyndhamrewards.com. Wyndham Hotel Group, part of Wyndham Worldwide Corporation (NYSE: WYN), is the world's largest and most diverse hotel company with approximately 7,590 hotels and 655,300 rooms in 71 countries under the hotel brands: Wyndham Hotels and Resorts®, Ramada®, Days Inn®, Super 8®, Wingate by Wyndham®, Baymont Inn & Suites®, Microtel Inn & Suites by Wyndham®, Hawthorn Suites by Wyndham®, TRYP by Wyndham®, Howard Johnson®, Travelodge® and Knights Inn®. In addition, the company has a license agreement to franchise the Planet Hollywood Hotels brand and provide management services globally. All hotels are independently owned and operated excluding certain hotels which are owned or managed by an affiliate of Wyndham Hotel Group. Wyndham Hotel Group is based in Parsippany, New Jersey, U.S. Additional information is available at www.wyndhamworldwide.com. For more information about hotel franchising opportunities visit www.whgdevelopment.com. For Wyndham Hotel Group "@ a Glance," click here. OPT OUT: If you wish to be excluded from future Wyndham Hotel Group announcements, please reply by e-mail with "remove" in the subject line. Thank you. In celebration of the program's newest airline partner, Wyndham Rewards members in the U.S. now have the chance to win round-trip airfare for two, courtesy of Hawaiian Airlines, plus a five-night stay at the Koloa Landing at Poipu Beach Wyndham Grand Resort.